I’ve got an old and trusty blackened wok at home bought over 20 years ago for £4.50 in a Chinese Supermarket called Loon Fung situated at 44 Gerrard Street – the main thoroughfare of Europe’s biggest Chinatown in London’s West End. I, and I’m sure most of the, it has to be said, slightly grumpy staff certainly didn’t know the extraordinary musical history the building had. Incidentally the original Chinatown in London was actually at Limehouse in the East End but for various reasons the Chinese community slowly de-camped to the West End centring around a few streets between Leicester Square and Shaftesbury Avenue. After the war it was a particularly seedy area at the edge of Soho but the rents were practically at peppercorn rates which suited the new Chinese restaurants that sprang up around the area. In 1967, after being a bit of a dingy old strip joint, 44 Gerrard Street became known as Happening 44 – a trendy psychedelic club run by Jack Braceland, one of the earliest light show artists in the UK who’d worked on some of the early shows of Pink Floyd amongst others. His light shows featured hand-assembled wet slides and Aldis projectors. His company called Five Acre Lights was actually named after a psychedelic nudist colony he ran with his wife at Five Acre Woods near Watford – which in reality, was a number of caravans in a sea of mud and a club house that featured a ‘trip machine’ and where Pink Floyd once played a gig on Guy Fawkes night in 1966. 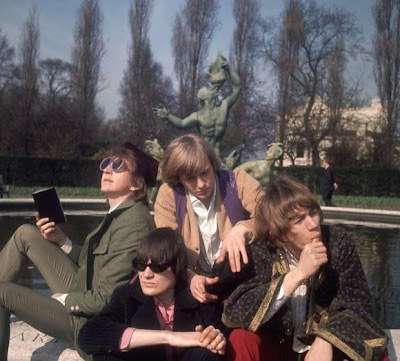 Braceland was a middle-aged, slightly weird beatnik character but for the relatively short while Happening 44 existed, it featured such bands as the Social Deviants and Soft Machine. ‘Friday; Fairport Convention stays home tonight. Saturday; Fairport stays home again, patiently waiting for bookings’. Alas Happening 44 closed down within a few months of opening and Jack Braceland went back to his Watford nudist colony, and presumably his ‘trip machine’, and was never really heard of again. 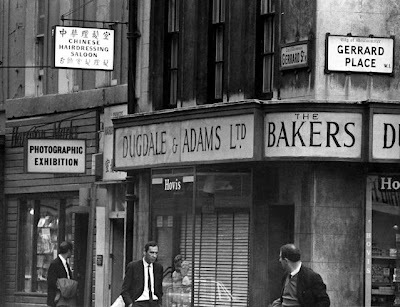 In the early fifties and fifteen years before Happening 44, 44 Gerrard Street housed The West End Jazz Club run by George Melly and the trumpeter Mick Mulligan, and it was here that the first ‘all night raves’ were held and, improbably, also where the term ‘all night rave’ was coined. 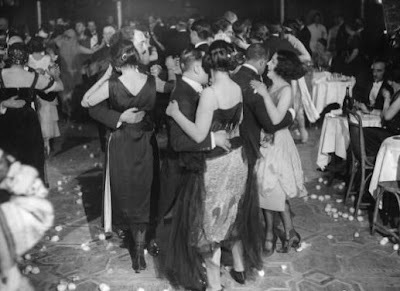 The word ‘rave’ (as in to ‘live it up’) was invented by Mulligan and took several forms: other than the verb ‘to rave’, there was the noun meaning a party where you raved, and finally a ‘raver’ – someone who raved as much as possible. 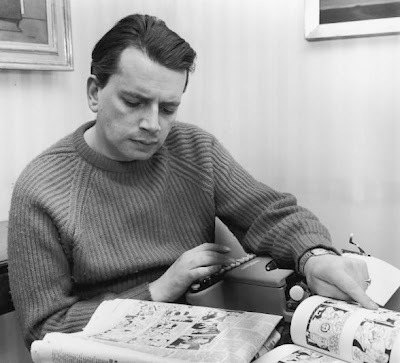 A newspaper at one point called Mick Mulligan the ‘King of The Ravers’. 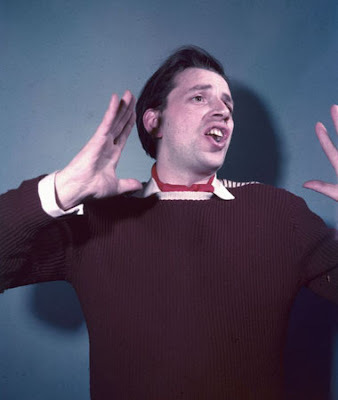 George Melly wrote once that the original all night raves that had attracted beatniks, Soho layabouts and art school students, were an enormous social success but a financial loss. 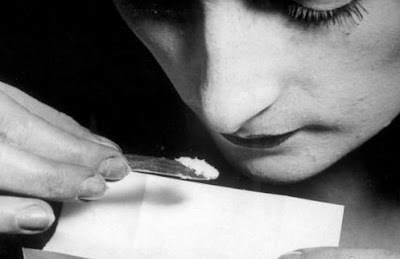 All all-night ravers, from whatever era, need a drug that keeps them awake. The drug of choice that allowed George and his fellow ravers to last the course was Benzedrine taken from broken up inhalers. 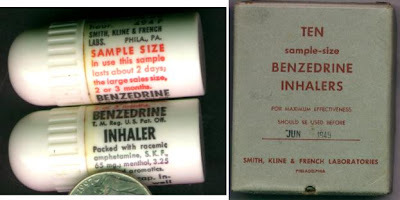 The Benzedrine inhaler was intended as a decongestant, but you could break it open, remove the paper strip inside and soak the strip in a cup of coffee or tea. 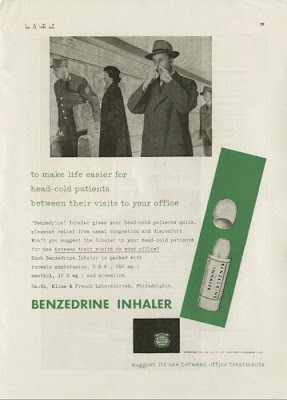 This was called a ‘B-Bomb’ and the preparation got so popular the manufacturers had to withdraw the inhaler from over the counter use in the early fifties. By the mid-fifties 44 Gerrard Street had become a folk club originally called The Good Earth but after the success of Lonnie Donnegan’s Rock Island Line it became the 44 Skiffle Club run by John Hasted – one of the earliest champions of skiffle which he saw as a form of teenage urban folk music. 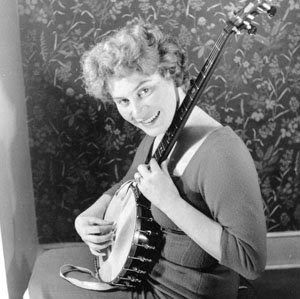 The house band was known as John Hasted’s Skiffle and Folksong Group and featured the young folk singer Shirley Collins. 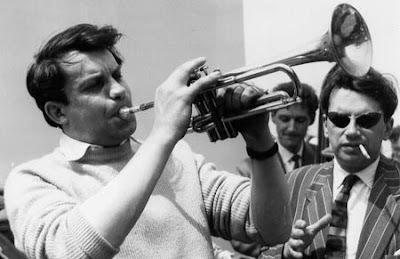 It’s easy today to be bemused about these clubs based around, as in George Melly’s case trad jazz and with Hasted skiffle and folk music, but these were the first youth movements based around music in this country. It wasn’t rock and roll that was the soundtrack for the first teenagers. Not in London anyway. Nor were they the first drug-takers in the capital. At number 43 Gerrard Street in the 1920s there was situated an infamous nightclub run by an Irish woman called Kate Meyrick. She was famous back in Ireland for being the first woman to ride a bicycle, but in London she was well-known for running a string of nightclubs and evading the strict licensing laws whilst doing so. The most famous of which was the ’43 Club’ in Gerrard Street. It attracted bohemians like the artists Augustus John and Jacob Epstein and writers such as JB Priestley and Joseph Conrad as well as a good sprinkling of gangsters and aristocrats. Tallulah Bankhead who often performed in London during the 1920s described the club as “useful for early breakfasts” and when asked “what time breakfast would be then?” she replied “about 10pm”. 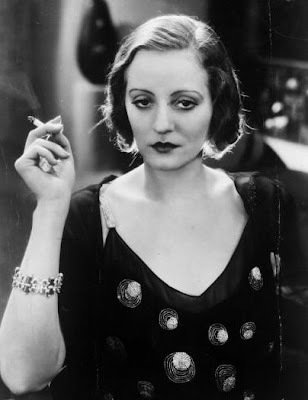 Tallulah Bankhead often admitted to her liking of cocaine and the ’43 Club’ was said to be the centre of drug dealing in the West End of London – the advantage for dealers, during the many police raids on the club, of a hidden escape route to Newport Place was obvious. 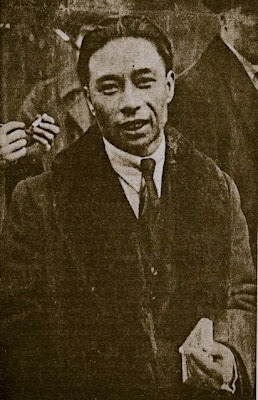 The most notorious cocaine dealer in London during the 1920s was a man known as ‘Brilliant Chang’ – his name is still used as slang for cocaine to this day. In 1918 a popular young actress called Billie Carleton was found dead in her bed by her maid after attending the Victory ball at the Albert Hall. 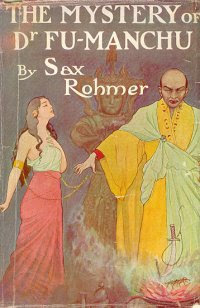 At her bedside was a gold box containing cocaine given to her by her boyfriend , the costume designer Reggie de Veuille. He had bought the drug from a Scottish woman called Ada and her Chinese husband Lau Ping You. Ada and de Veuille (the prosecution attempted to paint the worst possible picture and described him as ‘somewhat in foreign appearance and accent with an effeminate face and mincing little smile…’) were sentenced to five and eight months hard labour respectively but Lau Ping You escaped with just a £10 fine. The involvement of a Chinese man, however, whipped the press into a frenzy and the newspaper Pictorial News ran a series of pieces on the East End’s ‘Yellow Peril’. Very soon another Chinese man called ‘Brilliant’ Chang was brought to the forefront. 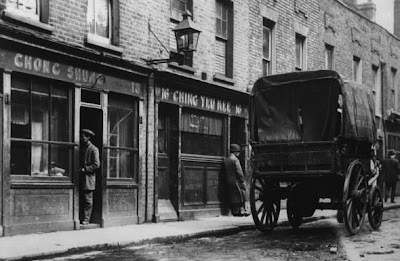 Chang was a former Limehouse marine contractor but now ran a restaurant called ‘Shanghai’ in the same part of the East End. 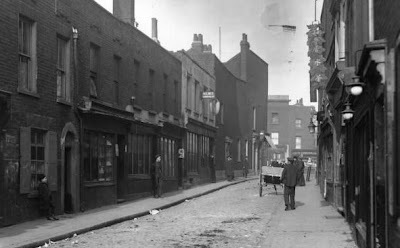 Limehouse was London’s original Chinatown but although the population reached its peak just after the First World War the population was probably only around 300 people. 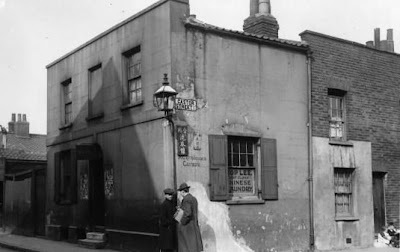 In the thirties, probably encouraged by the atmosphere of ‘yellow peril’ hysteria whipped up by the popular press, the local council decided to clear the ‘slum area’ around Limehouse and many of the Chinese shops, restaurants and gambling dens were swept away. This, and the extensive bombing of the area during the Second World War encouraged the gradual migration of Chinatown from the East End to the West End. 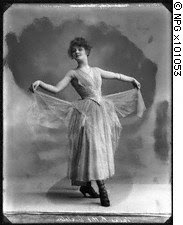 Kate Meyrick, meanwhile, after several spells in Holloway prison due to repeated licensing laws offences and the bribing of policemen, died in 1933 – dance bands in the West End, apparently, fell silent for two minutes in tribute. This entry was posted on Saturday, March 15th, 2008 at 11:10 pm	and is filed under Chinatown, Soho. You can follow any responses to this entry through the RSS 2.0 feed. You can leave a response, or trackback from your own site. Very interesting stuff, I used to live in Limehouse and its history fascinates me. It’s interesting how each wave of immigrants gets painted with the same brush by the British popular press. The track you’ve posted “Who Put the Benzedrine in Mrs. Murphy’s Ovaltine” is identified as by Slim Gaillard. Harry “The Hipster” Gibson penned and performed the tune. 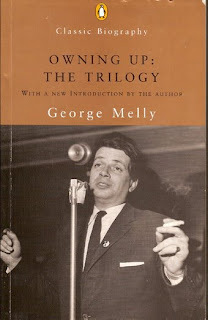 Ah, George Melly. They don’t make them like that anymore. Cocaine is named ‘Chang’ after Brilliant Chang? Duuuuh!! It is so called because it’s all-too-well-known nickname of ‘Charlie’ has been extended. Ask as many users as you like – only drug historians are likely to know of Mr. Chang and his escapades. 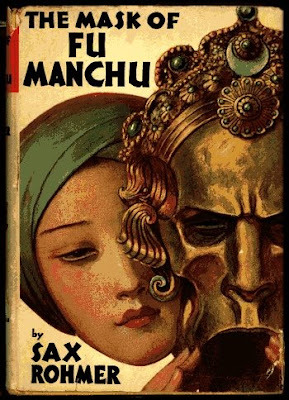 Anonymous,how do you think the nickname Charlie came about?From Chang(as the author explains) it became known as Charlie Chan(for obvious reasons) to it’s more common nickname Charlie.Get it?Chang to Charlie Chan to Charlie.Before you Duuuuh!! a blog,first think. Just needed to set the record straight here…. Excellent post. Some citations would be appreciate for those who’d like to continue researching this fascinating history. Were the quotes from Kohn’s “Dope Girls,” which you mentioned in your 2009 post? I used to frequent the ‘Happening 44′ although I am sure we used to call it just 44 Gerrard Street. In fact I married a girl that used to work there and shacked up with Jack Braceland and his wife on weekends at Five Acres, a place that I also visited a couple of times with her. Although I do remember that the clubhouse was quite a large affair. I do also believe there was a coven of witches there.